This cluster project investigates the religious, historical, material, practical, and iconographic dimensions of talismans/amulets in contemporary contexts in Vietnam, Korea, and Japan, with particular attention to talismans that share Buddhist and non-Buddhist functions, including those from Daoist, shaman, Shinto or other religious traditions. Bùa hộ mệnh (Vietnamese), pujŏk (Korean), and omamori/ofuda (Japanese) have long played a central role in the history of East Asian and Southeast Asian spirit pacification. Among many functions talismans ward off evils, protect health and home, support animal husbandry, and act as the medium for a message—for good fortune, safe birth, success in love, and more. Powerful writing, and a vast range of talisman types such as charms, seals, cloth pouches, or images on wood or paper are joined today by jewelry, telephone cards, and digital e-talismans. We question the mechanisms that support faith and/or bolster the efficacy of the new and old talisman forms. Drawing from case-oriented comparative and historical analysis, the cluster critically examines how talismans often became nexus points wherein long-standing traditions of exorcism in East Asian religion intersected with contemporary conceptualizations of “spiritual insurance.” Talismans that reflect significant historical change or adaptation due to religious and social changes in the home country over time are of special interest, such as those that skirt or assimilate tensions between Buddhist and non-Buddhist traditions. The project also considers the ways in which communities or individuals past and present modify(ied) the process of creating and deploying dangerous, practical, and magical rites and objects to suit their needs. It questions the appropriateness of current terminology for talisman efficacy, production, consumption, and decorum; explores concepts of Buddhist ecumenism, and traces adaptation in talisman materials and forms due to environmental and skill-set pressures. Cluster leaders plan to visit and study lesser known sites and forms of talismans alongside some better known. Fieldwork for students and faculty will occur in Vietnam (2020 and 2022), Korea, and Japan (2021); we will observe ritual empowering of talismans, their production, and purchase; talisman collections will be examined and documented; rites, sites, and objects will be filmed/photographed. The whole will culminate with an international conference in Hanoi in 2022. Cynthea J. Bogel is Professor of Japanese Art History and East Asian Buddhist Visual Cultures at Kyushu University (Fukuoka, Japan). 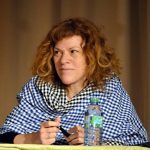 She is co-chair of the IMAP and IDOC graduate student programs in premodern Japan studies (see https://www.imapkyudai.net/) and Editor of the peer-reviewed Journal of Asian Humanities at Kyushu University (JAH-Q). Her research focusses on premodern Japanese Buddhist icons, especially statues. Relationships between Japanese icons and East Asian correlates, the study of iconography or ritual contexts and how they relate to the goals of the temple and patrons, the historiography of Buddhist cultural properties, and the effects of nineteenth-century scholarship on the field are a few of her research interests. Bogel holds MA and PhD degrees from Harvard University and a BA from Smith College. She taught Japanese art history and Buddhist visual culture at the University of Oregon (Eugene) for five years and at the University of Washington (Seattle) for fourteen years before moving to Japan in 2012 to take up her current position. She worked as Asian Art Curator at the Museum of Art, Rhode Island School of Design, which led to her first co-authored book on ukiyoe prints. She has conducted research in India, Pakistan, Bhutan, China, Korea, Vietnam, and other corners of Asia besides Japan. For many years she led intensive courses with her American university students; fieldwork with graduate students is now a natural extension of her work in Japan. Her first monograph, titled With a Single Glance: Buddhist Icon and Early Mikkyō Vision (2009), examines early Esoteric temples and icons in Japan, the legacies of Saichō and Kūkai, and their sojourns in China. A monograph in progress features the temple Yakushiji (Nara) and its bronze main icon during the late seventh- and early eighth-century in the context of early Chinese-style imperial state ideology in Japan. She is the recipient of major research grants from the Japan Society for the Promotion of Sciences; the Center for Advanced Study in the Visual Arts (CASVA), National Gallery of Art; the National Endowment for the Humanities; the J. Paul Getty Foundation; the Sainsbury Institute for the Study of Japanese Arts & Cultures; and the Japan Foundation. 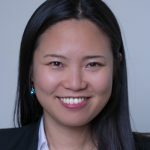 Sujung Kim is an Assistant Professor of religious studies at DePauw University. She received her PhD in East Asian Languages and Cultures from Columbia University in 2014. Her first book, Shinra Myojin and Buddhist Networks of the East Asian “Mediterranean” (University of Hawai‘i Press, 2019) focuses on a deity called Shinra Myōjin—whose name alludes to its possible connection with Korea—worshipped on Mt. Hiei in medieval Japan. The book explains that Shinra Myojin is not only an influential protector god of the Onjōji temple, but also part of the transnational network of people, ideas, and gods, spanning China, Korea, and Japan, out of which Shinra Myojin emerged. She is currently working on her second book project, which explores the interplay between emotion and etoki (picture-explaining) with an emphasis on the Illustrated Biographies of the Kegon Sect Patriarch, a thirteenth-century Japanese narrative scroll that depicts the biographies of two seventh-century Korean Buddhist monks. While her research centers on the premodern transcultural interactions between Japan and Korea, her interdisciplinary research interests include modern/contemporary Korean Buddhism, Buddhist visual and material culture, as well as performative aspects of Buddhist narratives. Thi Hien Nguyen got her Bachelor of Literature and Russian in Russia in 1987, Master in 1999 and Ph.D. in 2002 in folklore with a minor in religious studies at Indiana University, USA. Then, she worked as a postdoc fellow at American Museum of Natural History in New York (2003) and at University of California in Los Angeles, California, USA (2004). She was appointed as an associate professor in 2012. 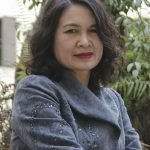 Currently, she works as a lecturer and researcher, and the Vice Director of Viet Nam National Institute of Culture and Arts Studies, Ministry of Culture, Sports, and Tourism. She is also selected as a member of the evaluation body, UNESCO’s Convention 2003 in the terms of 2012-2014, 2017-2020. She is interested in doing research on religious practices, cultural heritage and transnationalism. -2016, The Religion of Four Palaces: Mediumship and Therapy in Viet Culture. The Gioi Publishing House. – 2011, Spirits Without Borders: The Legacy of Vietnamese Mediumship in a Transnational Era (co-authored with Karen Fjelstad). Palgrave Macmillan. – 2006, Possessed by the Spirits: Mediumship in Contemporary Vietnamese Communities (co-edited with Dr. Karen Fjelstad). Cornell Southeast Asia Program, Cornell University.